Product #46768 | SKU 24521 | 0.0 (no ratings yet) Thanks for your rating! The K&M 24521 Reducer Flange for Speaker Stand in black is designed to fit all K&M speaker stands with a 35mm tube dimension. 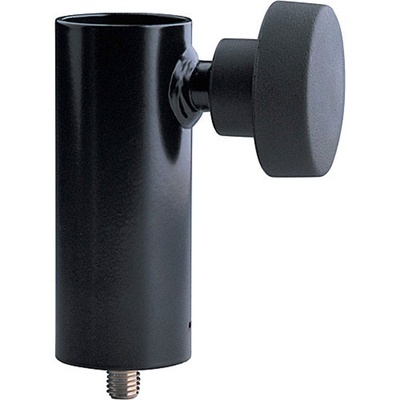 The bolt is threaded M10 x 12mm and comes with a large, comfortable knob. Versatile Flange: This reducer flange is designed to fit all K&M speaker stands with a tube diameter of 35mm.